An entitlement that prioritized services for high school graduates with developmental disabilities would be permanently eliminated by a bill heard Jan. 25 by the Health and Human Services Committee. The entitlement was halted for fiscal year 2017-18 and FY2018-19 during the 2017 legislative session in order to bring Nebraska into compliance with federal law. The entitlement prioritized services for graduates or those reaching age 21, which violates a home and community-based services waiver federal requirement that the state first serve individuals with the highest priority status. 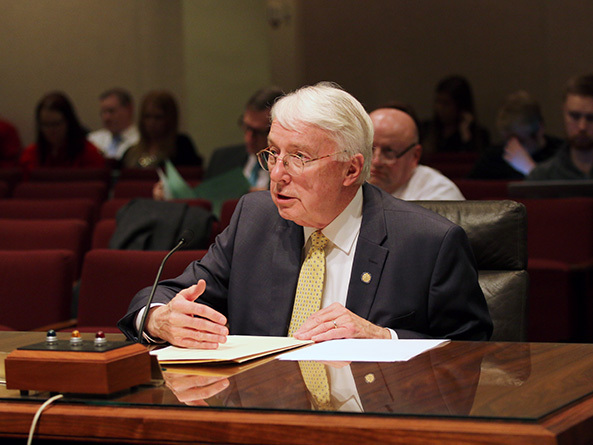 LB793, introduced by Ralston Sen. Merv Riepe, would permanently eliminate the entitlement, which otherwise would resume in FY2020. Services under the entitlement could not be paid with waiver funds, Riepe said, so the state would have to forego federal matching funds for those services if the entitlement were allowed to resume. In current law, without the entitlement, individuals transitioning from the state’s educational system upon reaching age 21—who require services to maintain skills and pursue economic self-sufficiency—are considered level-four priority under the waiver’s five levels of prioritization for services. Courtney Miller, director of the state Division of Developmental Disabilities of the Health and Human Services Department, testified in support of the bill. She said that allowing the entitlement to resume would result in state law prioritizing the needs of graduates above individuals currently considered level-one priority—those who are in immediate crisis due to health and safety concerns. Phil Gray, a parent testifying on behalf of Persons for Appropriate Special Services, spoke in opposition to LB793. No one wants to interfere with services for young people in crisis, he said, but the transition from high school is a very difficult time for families of developmentally disabled individuals. Suspension of the entitlement hasn’t been in place long enough to determine the impact, he said, and senators should study the results before permanently eliminating it. “This bill eliminates the one shred of stability in the life of a family with a handicapped son or daughter—that when they come out of school, there are some services going to be available to them,” Gray said. Alan Zavodny, chief executive officer of NorthStar Services, agreed. 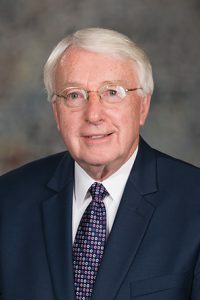 Also testifying in opposition to the bill, he said the entitlement was put in place in the mid-1990s because policymakers realized the cost of not supporting graduates. The committee took no immediate action on LB793.